You're a girl boss. You know it. You help run the world. In return, treat yourself! Girl Boss Boxes are made to enhance your current and every day life. Varying monthly, the Girl Boss Box will include a selection of coffee, tea, wine accessories, stationary, gardening goodies, snacks, candles, beauty products, jewelry, and more! We here at Girl Boss Box are constantly searching for new products and trends to help keep you ahead of the game and motivated as a girl boss. 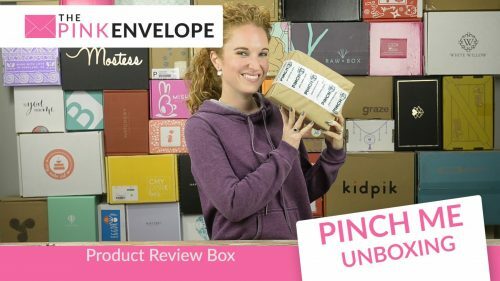 Here is my Girl Boss Box review, yall! LOVE! I have to say, I'm impressed with Girl Boss Box professional women's subscription box. The minute I opened the box it smelled SO good!!! There are 2 Trapp candles inside. I have already burnt both of them and they are AMAZING!!!! My whole office smelled like heaven! The Happy notecard kit is so cute and the quality is very good! Then I got Sun Bum sunscreen which I plan on trying out very soon. I also can't wait to try out the Republic of Tea ice tea, looks delicious! I did use the bath bomb and it was awesome! Smelled so good and was so smooth. Also have used the hair ties and they are fab, work great and good quality, cute colors too! Then that Turkish Towel…I am in love! I'm totally headed to a hotel resort soon that I will be trying this out all week. I can't wait. This box is $40 a month and we received 7 items. When I did a quick search on purchasing these things on my own (time to go shopping and get them plus research to find them not included) the total retail value is $76.90 so right out the gate you are getting a great deal PLUS its like Christmas for working women every month! For once, you don't do anything and something fabulous shows up at your door! You can't beat it! Special Announcement – Girl Boss Box is getting a new name that will be revealed soon! Stay Tune to be the 1st to be in the know!!! Your blog is unique and I love the rating system. Very well done! It’s definitely one that I want to keep reading!